The 2018 Volkswagen Golf from Bert Smith Volkswagen in St. Petersburg, FL, serving Tampa and Clearwater, is a modern hatchback with an iconic design packed with advanced features and technology. Cruise through town with the warm sunlight shining through your available panoramic sunroof. Swiftly navigate city traffic with the aggressive, 1.8L turbocharged 4-cylinder engine that pumps out 170 horsepower. Effortlessly control your cabin with the driver-focused design that puts everything easily in reach. The thoughtfully designed cargo area has plenty of room with an adjustable floor for precision packing. Flexible 60/40 split-folding rear seats can also expand your space for larger items. 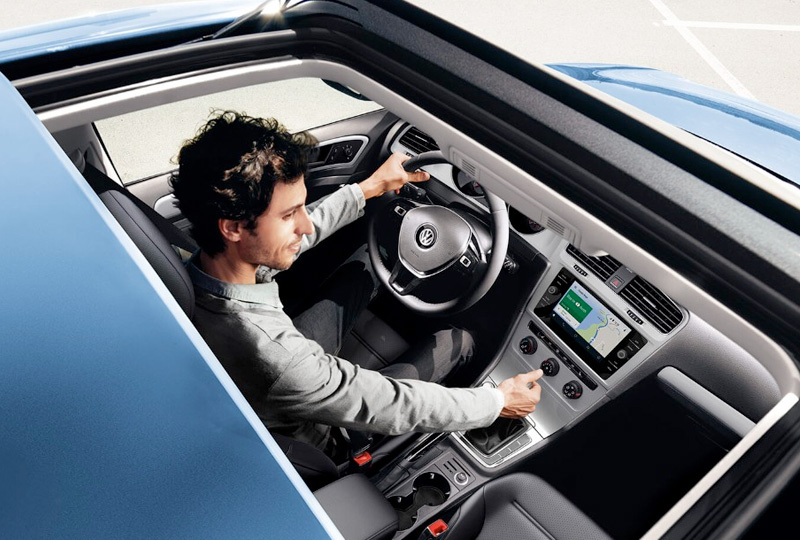 Seamlessly connect your smartphone to the Volkswagen Car-Net® App Connect system with Apple CarPlay and Android Auto. 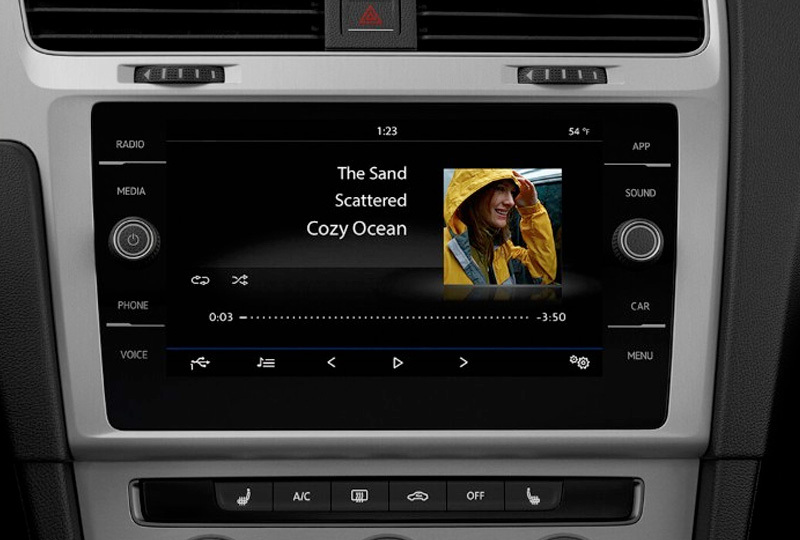 An available 8-inch glass touchscreen offers high-resolution controls for audio and entertainment, as well as your standard rear vision camera. Now is the best time to buy new Volkswagen! We have an amazing selection of 2018 models at incredible savings, and new auto loan rates have never been lower. Take your test drive today by visiting 3335 38th Ave. N in St. Petersburg, FL. We can't wait to help you fulfill your dreams of owning a new 2018 Volkswagen Golf! Take a drive on the brighter side of life. Open up the available panoramic sunroof that both tilts and slides to let the sun shine down on you. 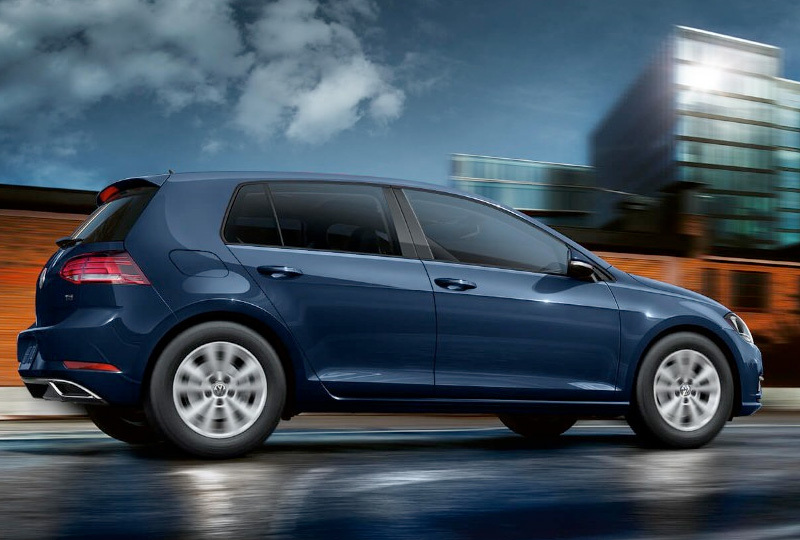 Providing a generous supply of torque, the Golf with available automatic transmission doesn't just pass the test, it passes with flying colors. This available touchscreen features a high-resolution, full-color display behind glass that looks great and adds style and tactility to your touchscreen experience. Ask your dealer if this vehicle meets the emissions requirements of the state in which you are registering the vehicle. Starting MSRP excludes transportation, taxes, title, other options, and dealer charges. Dealer sets actual price. Specifications, equipment, options, and prices are subject to change without notice. Some items may be unavailable when vehicle is built. 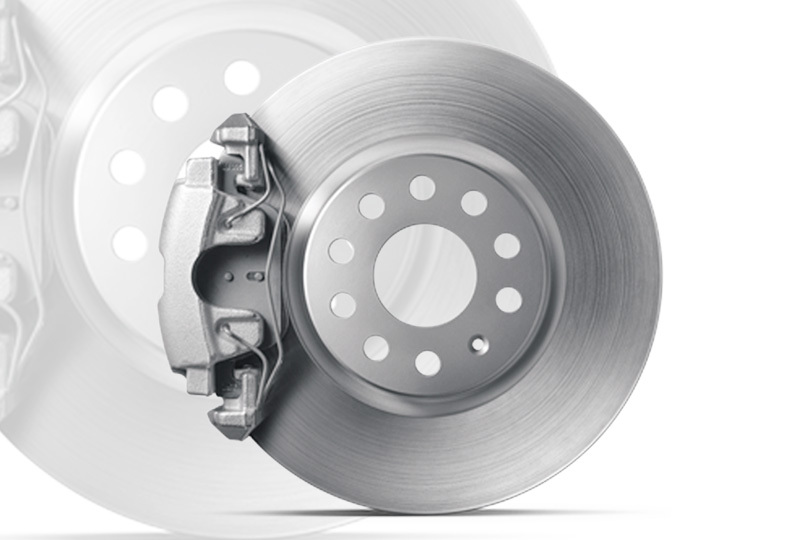 Ask your dealer about availability of options and verify that the vehicle includes the equipment you ordered. The features discussed are designed to help mitigate the effects of certain collisions, and are not a substitute for attentive driving. Please see Owner's Manual for further details, and important limitations.